Synthetic hexagonal boron nitride (hBN) single-crystals with single-crystal domains exceeding 500 micrometers, offered in two grades. 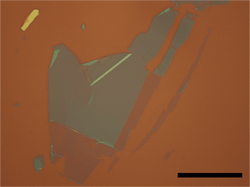 Grade A: Millimetre-sized crystals with domain sizes exceeding 0.5mm. 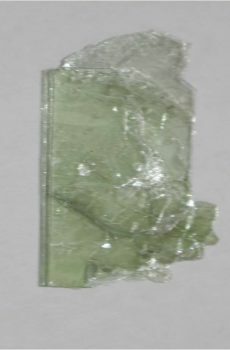 More than 20 transparent crystals in a clear glass bottle. 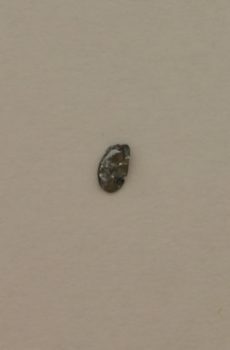 Grade B. Crystallites with sizes up to 0.5mm. 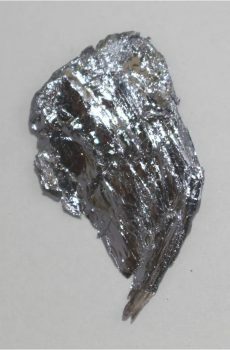 More than 500 crystals included which equates to 100mg of material. Hexagonal boron nitride has emergent as an important candidate for use in graphene research. In two dimensional form, relatively thick flakes (>20nm) of hBN serve as a high quality substrate enabling graphene to reach its theoretical mobility values, which exceeds one hundred thousand centimetre squared per volt second. 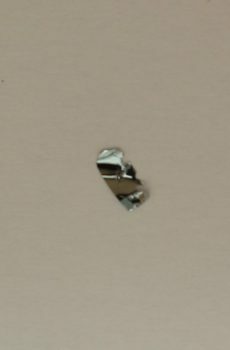 Thinner flakes (<5nm) can serve as a separator between two graphene layers in order to study interesting mesoscopic phenomena. For example, electron tunneling and coulomb drag include two of the interesting phenomena observed in such systems. Our hexagonal boron nitride is of the highest purity enabling the its use for such research. 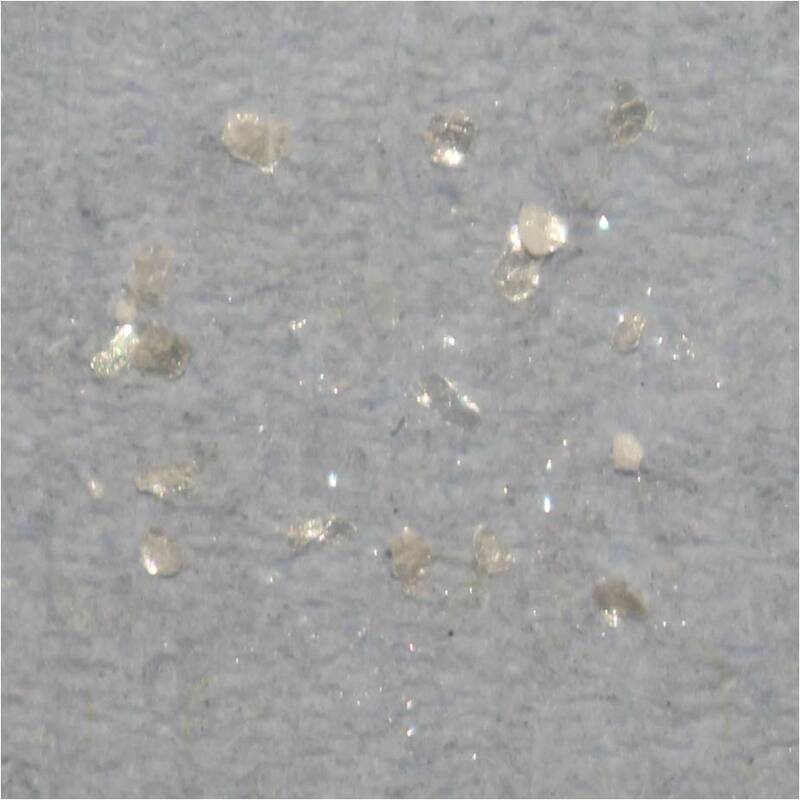 The atomically thin flakes prepared by mechanical exfoliation of our flakes show large dimensions (>100um) and atomically flat terraces, an imperative requirement for use in this research field, as shown in the example pictures above. 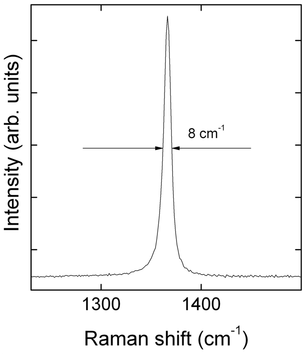 The sharp peak in Raman spectrum is a further testament to the purity of our hBN. 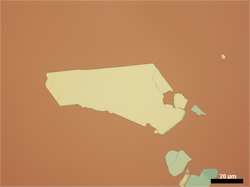 Recently published papers on hexagonal boron nitride (hBN).